(Nairobi, September 25, 2012) – Three Islamist armed groups controlling northern Mali have committed serious abuses against the local population while enforcing their interpretation of Sharia, or Islamic law, Human Rights Watch said today. Human Rights Watch in recent weeks has interviewed some one hundred witnesses who have fled the region or remain there. The three rebel groups – Ansar Dine, the Movement for Unity and Jihad in West Africa (MUJAO), and Al Qaeda in the Islamic Maghreb (AQIM) – have recruited several hundred children into their forces; carried out executions, floggings, and at least eight amputations as punishment; and systematically destroyed numerous religious shrines of cultural and religious importance. In April 2012, the rebel groups consolidated their control over the northern regions of Kidal, Timbuktu, and Gao. Since July, Human Rights Watch has conducted 97 interviews in Mali’s capital, Bamako, with witnesses and victims of abuses, as well as others knowledgeable about the human rights situation, including religious and traditional leaders, medical personnel, rights activists, teachers, diplomats, journalists, and government officials. Many witnesses had fled the affected areas; those who remained in rebel-controlled areas were interviewed by telephone. Witnesses described abuses taking place in the northern towns of Gao, Timbuktu, Goundam, Diré, Niafounké, Ansongo, Tissalit, Aguelhoc, and Kidal. In January, the rebel groups had undertaken a military offensive to gain control of northern Mali, originally alongside separatist ethnic Tuareg group, the National Movement for the Liberation of Azawad (MNLA). They have since largely driven the MNLA out of the north. Ansar Dine aims to impose a strict interpretation of Sharia throughout Mali. AQIM, affiliated with al Qaeda since January 2007, has been implicated in attacks against civilians and kidnaping for ransom of tourists, businessmen, and aid workers, some of whom have been executed. MUJAO, created in late 2011 as a largely Mauritanian offshoot of AQIM, has claimed responsibility for kidnapping several humanitarian workers and, on April 5, seven Algerian diplomats. MUJAO and Ansar Dine have claimed responsibility for many abuses, including killings, amputations, and the destruction of religious shrines and other culturally important structures. The Islamist groups’ advance took advantage of the political and security chaos that followed a coup in Bamako on March 22 by junior Malian military officers, which reflected their dissatisfaction with the government’s response to the MNLA rebellion. The interim government established in April has since then been dogged by infighting and power struggles, paralyzing their response to the situation in the north. 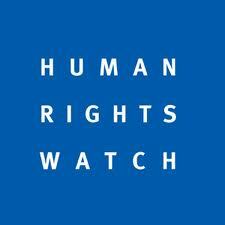 Ansar Dine, MUJAO, and AQIM appear to be closely coordinating with each other, Human Rights Watch said. While particular groups seem to control particular regions – for example, Ansar Dine in Kidal and Timbuktu and MUJAO in Gao – their forces often move fluidly between areas and have reinforced each other during unrest. Furthermore, several commanders and fighters from MUJAO and Ansar Dine were identified by multiple witnesses as having previously been affiliated with AQIM. Many residents said they reached the conclusion that, in the words of one witness, “Ansar Dine, MUJAO and AQIM are one in the same.” Witnesses said the majority of commanders were non-Malian, and came from Mauritania, Algeria, Western Sahara, Senegal, Tunisia, and Chad. The Islamist armed groups have carried out beatings, floggings, arbitrary arrests, and executed two local residents, all for engaging in behavior decreed as “haraam”’ (forbidden) under their interpretation of Sharia, dozens of witnesses and five victims from the north told Human Rights Watch. These included smoking or selling cigarettes; consuming or selling alcoholic beverages; listening to music on portable audio devices; having music or anything other than Quranic verse readings as the ringer on cellphones, and failing to attend daily prayers. On July 30, the Islamist authorities in Aguelhoc stoned to death a married man and a woman he was not married to for adultery, reportedly in front of 200 people. They also have punished women for failing to adhere to their dress code – which requires women to cover their heads, wear long skirts, and desist from wearing jewelry or perfume – and for having contact with men other than family members. Throughout the north, the punishments for these “infractions” as well as for those accused of theft and banditry were meted out by the Islamic Police, often after a summary “trial” before a panel of judges hand-picked by the Islamist authorities. Many of the punishments were carried out in public squares after the authorities had summoned the local population to attend. Many witnesses described seeing men and women detained or whipped in marketplaces and on the street, often by armed adolescents, for smoking, drinking alcohol, or failing to cover themselves adequately. Some frail elderly residents collapsed from the floggings. Since April, the Islamist groups have amputated the limbs of at least eight men accused of theft and robbery, seven in the Gao region. Human Rights Watch interviewed the victim of the August 8 hand amputation in Ansongo and two witnesses to the five amputations that took place in Gao on September 10. Amputating the hands, feet, or limbs of an individual as a criminal punishment is torture, in violation of international law. International humanitarian and human rights law prohibits any mistreatment of people in custody, including executions, torture, and pillage. The use of child soldiers and the deliberate destruction of religious and cultural property are also prohibited. Leaders of the rebel groups may be liable under international law for abuses committed by forces under their command, Human Rights Watch said. The Islamist groups should immediately cease their mistreatment of residents and destruction of heritage sites, make a commitment to abide by international law, and free all children recruited for their forces, Human Rights Watch said. Halt killings, amputations, floggings, and other torture and cruel and inhuman treatment of people in custody; treat detainees humanely in accordance with international standards. End all recruitment of children under age 18 in accordance with Mali’s international legal obligations, release all children previously recruited, and avoid using schools for military purposes, such as military training. Publicly acknowledge the obligation to comply fully with international humanitarian law. Publicly commit to respecting international human rights law, such as found in the Universal Declaration of Human Rights; respect the rights to due process and free expression, association, and assembly. Cease all attacks against religious sites in Timbuktu and elsewhere, and adequately compensate local authorities for the cost of repair and reconstruction of those destroyed or damaged. One of the recent amputations took place on August 8, when Islamic Police amputated the hand of Alhader Ag Almahmoud, 30, who was accused of stealing livestock in Ansongo. On September 10, they amputated the right hand and left foot of five suspected thieves in Gao. On September 16, they amputated the hand of a man in Gao who allegedly broken into a store and stole merchandise. MUJAO took responsibility for the seven amputations in Ansongo and Gao. In April, Islamist authorities had amputated the hand of an alleged thief in Kidal. On September 2, an online news agency published a statement from MUJAO claiming to have executed the Algerian vice-consul, Taher Touati, at dawn that day. The report has yet to be confirmed by the Algerian government. MUJAO had on August 24 given an ultimatum to Algeria, threatening to kill Touati unless several MUJAO members being held in Algeria were released. MUJAO had earlier claimed responsibility for the April 5 abduction of seven Algerian diplomats from their consulate in the town of Gao. Three of the hostages were freed in July. I’m married with three children, ages 6, 4 and a few months. I come from a village not far from Ansongo. In late July, a pickup full of armed men came to my home. They said they were investigating the theft of livestock, and that their investigation had revealed motorcycle tracks near where the animals were stolen that had led them to my house. They ordered me to go with them. They put me and my motorcycle on a truck with five armed men, and later put me in their jail in Ansongo where I remained for two weeks. There, I was never interrogated – not one question about the case. On August 8 at around 10 a.m., they took me to an office building that now serves as their courtroom [le palais de justice]. There, I found a dozen or so unarmed men seated on mats on the ground in a circle. They asked me to sit in the middle and to tell them the facts. I said I was innocent and explained my version of events. The MUJAO boss in Ansongo said they should apply Sharia, after which they discussed my case among themselves. They were speaking in Arabic, but most of what they said was translated into Tamashek so I could understand. None of them presented solid proof. Of the 10 men, three were against imposing Sharia, but the others won.